Acnologia also known as The Black Dragon , and fearsomely reputed as The Black Dragon in the Book of Apocalypse, is a powerful Dragon that assaulted the Fairy Tail Mages on Tenrou Island in the year of X784. Acnologia is a mastodonic dragon whose entire upper body, is covered in black, round scales, which in turn are decorated by spiraling, blue markings. His lower body, specifically his belly, inner tail and legs, is grey in color, and seems to be rather smooth. He possesses a blunt, rounded head with four large and elongated plates extending backwards, and has white beady eyes. His mouth is full of sharp teeth, and below it is an elongated protrusion pointing downwards. Acnologia’s gargantuan, multi-layered wings are composed of the very same plates covering his whole body, which take on a formation reminiscent of a bird’s feathers. His massive tail splits in two at its end, where the black plates disappear, and takes on a double stinger-like appearance. Dragons appear somewhat friendly to Humans, Acnologia is antagonistic towards them, and views them as insignificant, even though he once was one. As Zeref puts it, it sees them as nothing more than insects pestering him, which is why he does not even respond to them, when they try to converse with him. Born as a human over 400 years ago, Acnologia became one of the first Dragon Slayers who entered the Dragon Civil War. However, ignoring both sides of the conflict, Acnologia started killing countless dragons from both sides. 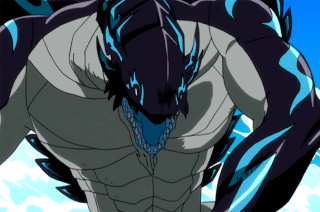 As he continued to bathe in the blood of dragons, Acnologia's physique eventually turned to that of a dragon with the aid of Zeref and proclaimed himself as the Dragon King. That event was forever known as Ryuuosai (Festival of the Dragon King). For many years, Acnologia has roamed Earth Land and was renowned as an infamous, feared Dragon, that was known for single-handedly wiping out an entire country. 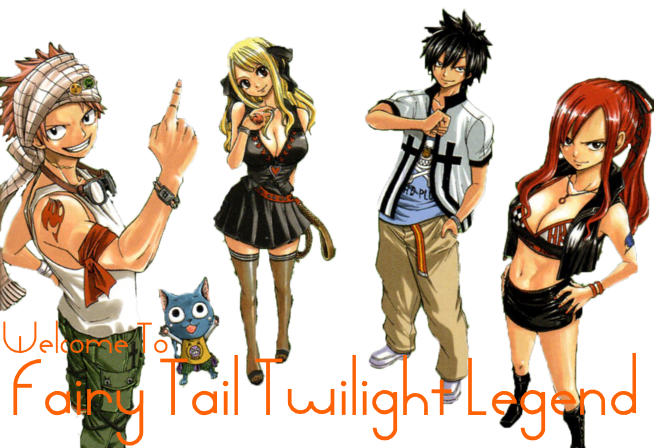 At some point in time, Acnologia ran into Gildarts Clive when the Mage was on his "100 year quest" on Zonia Mountain. In an instant, Acnologia took Gildarts' left arm, left leg, and an unspecified organ, leaving him to die before flying away, though Gildarts managed to survive, albeit with difficulty. In Fairy Tail one of the most unique and sought after Magics is the Art of the Dragon Slayer. Few things reach it's sheer level of control over it's element and aside, few things reach it's level of utility when it comes to it's element. Dragon Slayers can create, control, consume and even become part of their element. All Dragon Slayers are raised or trained by one of the Elemental Dragons residing in Earthland, each one's location a mystery to anyone including those they raise. Every time they feel they've sufficiently trained a Human they flee the area they once lived and take up nest in a new place to await the next Human to come to them. Dragons despite being incredibly powerful and dangerous are said to be supremely intelligent and care for humans in oddly benevolent ways. There are some Dragons who are more inclined to fight humans than raise them however and even a few who's disposition changes randomly. Becoming a Dragon Slayer required you first start with what is called an 'Aspirant Magic'. This is a C-Rank Magic that allows you to use a muted version of Dragon Slayer. As a C-Rank Magic it is limited to Rank 4 spells in total and it cannot advance to Dragon Slayer without you spending 10 Ether and doing an equal number of Tasks, the 10th of which will become a special difficulty task that is geared to challenge you as a roleplayer. Once it's complete you'll be allowed to advance to Dragon Slayer without concern for the stats normally required to take a B-Rank magic. Artificial Dragon Slayers are men and women who, by implantation of a Dragon Lacrima into their body, gain the Magic of the Dragon Slayer in a rapid and sudden way. These Dragon Slayers are often called 'impure' or 'fakes' by real Dragon Slayers and there is some negative reputation associated with this method. The power gained is very real however. The first step to becoming an Artificial Dragon Slayer is to acquire a Dragon Lacrima. This is obtained by be either buying the Dragon Lacrima for an extreme price or taking a normal Lacrima and finding a dragon then either requesting they charge it or fighting one for the right. Once you acquire a Dragon Lacrima and choose to implant it into yourself you immediately change into a Dragon Slayer. You first lose all magic and spells you had in your slots previously as if your Magic section had been wiped clean and then are instantly set to Adept Progression in terms of Magic Slots. You gain the B-Rank Dragon Slayer Magic of the element of your choice and 40% of your original spells become Dragon Slayer Spells to be made as you see fit but all other Magics and Spells are lost at the time of your change. By this method you can make Artificial Dragon Slayers out of your friends and allies instead of just yourself, gifting them the Lacrima for whatever purpose. Dragon Slayers of any type gain the ability to 'eat' their primary element same as in canon. On FTTL however the effect of eating an element changes depending on the type of element eaten. Naturally produced elements (A torch, a bottle of water, etc) will heal a small amount of magic energy, allowing the DS to cast more spells per thread. This is limited to the equivalent of 5 Stamina replenished per thread. Naturally produced elements act as food for Dragon Slayers, with a variety of tastes and scents depending on various factors. Artificially produced elements (Spells or Lacrima) can be eaten up to Rank 5 and for each rank eaten, 1 Stamina worth of magic energy is replenished. Dragon Slayers cannot eat a Spell above the rank they can cast magic, meaning a starting DS cannot eat a Rank 4-5 Spell. Dragon Slayers do not eat the entire spell, just a fair chunk of it. This means that even if a Dragon Slayer eats part of a spell they can still be hit by it, just a mitigated chunk of it. When an artificial element is eaten their body begins healing, mending parts of 'light wounds' such as a bad burn, sword cut, etc each post for 3 posts. This effect works on larger wounds too but limited to the same amount of healing overall. After ingesting an artificial element Dragon Slayers gain a temporary 5 post boost to their Magic Power, which makes their spells below Rank 5 count as one rank higher for any power related effect. This means they can punch through barriers and defenses easier, inflict more damage, etc. This can only happen once per thread. Dragon Slayers gain a natural, passive defense towards their primary element. A Fire Dragon Slayer for example will take less damage from a Fire Spell than a normal Mage would. This passive defense depends on their Stamina stat, meaning the higher their Stamina the more defense they get. 5 Stamina would be enough to lessen the effects of a Rank 3 Fire Spell, while 25 Stamina would allow one to endure and move through a Rank 8 Fire Spell without much visible damage. This defensive boost stacks with any defensive spell used on them. Conversely, Dragon Slayers have a minor weakness towards their opposing elements (Fire vs Water) because of their affinity with their element. This means they'll take larger chunks of damage from it, but the effect is only slightly more noticeable compared to normal. Dragon Force is a special, magical 'effect' that activates differently depending on which type of Dragon Slayer is in question, producing different effects for almost every single individual Dragon Slayer. Normal Dragon Slayers can activate Dragon Force either when they ingest a Rank 5 Spell or when they receive a serious injury equivalent of a Rank 7 or above spell. The Dragon Force they activate causes a minor appearance change and causes scale-like formations of skin to grow off their body in various areas. It also causes their body to produce magical energy at a high rate. Dragon Slayers gain +3 to any stat they choose for a post count equal to their Stamina. Once activated, Dragon Force allows the user to regenerate up to half their Stamina of magic energy to use in combat. Dragon Force fades when it's stat buff does and once it fades, the user immediately feels the effects of any spells they cast while Dragon Force was active, all at once. This means that the effect is felt at their current level of Stamina, so if they severely overexert themselves it will likely knock them out immediately. Artificial Dragon Slayers gain the effects of Dragon Force as soon as they use their first Dragon Slayer spell in any thread. They get a 5 post physical defense boost and a fairly significant physical appearance change represented by the magic boost. They do not gain a stat boost or their magic power restored. Instead they heal minor wounds across their body and gain an effective 5 Stamina worth of magic power, essentially giving them a +5 to Stamina for the purposes of casting spells. This does not drain them when the effect ends. Embodied Dragon Slayers or Fusion Dragon Slayers may choose between either one, with a special benefit unique to them. Embodied Slayers generate a powerful magic field around them that dampens the effect of their opposite element. Any element that is considered opposite their element (Fire if it's a Water DS) will be treated as one rank lower in terms of damage. Fusion Slayers gain the ability to 'eat' their secondary element or any combination thereof, in addition to gaining a defensive boost against their secondary element. You cannot start as an Artificial Dragon Slayer, nor can you become a normal Dragon Slayer after creation; You must either start as a Dragon Slayer or eat a Lacrima later to become an Artificial Dragon Slayer. Dragon Slayers (Artificial or Natural) get one magic, and one magic slot only and can only take Dragon Slayer-related magics. Meaning Aspirant, Dragon Slayer and Embodied/Fusion Slayer. They can get nothing else. Essentially, Artificial Dragon Slayers must be made from mages who are already existing and have acquired a Dragon Lacrima instead of starting with their powers. It's a 'reset' on certain aspects of the character, granting you a new direction in your character's history and life but removing elements of it. You still have to have done at least 10 missions and have collected 10 Ether as well. Artificial Dragon Slayers already have this in effect as part of their downside but regular Dragon Slayers should be aware of it; When you advance to your Dragon Slaying element of choice, you lose one of your Magic Type slots permanently, meaning you progress as if you were Adept Progression despite needing to start at C-Rank/Journeyman. As a final note, only one character per account may be a Dragon Slayer. Though there are infinite amounts of characters who can be one, you may only control one Dragon Slayer per account. When a Dragon Slayer reaches the limits of their power, when their magic and strength begin to plateau compared to other Mages many turn to a method known as Slayer Ascension, allowing them to become an Ascended Dragon Slayer and reach an incredible level of power. This is done in one of two methods. Embodied Ascension is a method where a Dragon Slayer consumes a special Lacrima, made from a fusion of a Dragon Lacrima of their element and a smaller lacrima that contains nothing but raw magical energy. This unlocks the limits of their power utterly and completely, giving them a surge of power that creates a special A-Rank Magic called '____ Dragon Embodiment' and is incredibly powerful. Embodied Dragon Slayers gain the ability to manipulate their entire body as if it were a dragon, allowing to manifest their element from their entire body at once and even gaining the ability to temporarily change their body and form into that of their element, manipulating themselves in an elemental state for a brief period of time. Embodied Slayers are extremely dangerous and powerful foes who have more than earned their fearsome reputation. Fusion Ascension is the second method where a Dragon Slayer consumes a Dragon Lacrima of another element than their own and unlocks a power unique to each Dragon Slayer who consumes it; This allows them to combine the two elements of the Dragon into a new, powerful element of Dragon Slaying. Sometimes known as Cross Slayers, these Dragon Slayers unlock an extremely potent mixture element that allows them to create, manifest and control an incredibly potent magic that represents the perfect fusion of two elements, an A-Rank Magic known as '____ Dragon Fusion'. Dragon Fusions can be any mixture of dragon elements and the element that is produced is up to the owner of the character to decide, letting them create their own unique magic and Dragon Slayer.